What kind of antimicrobial hygienic flooring is right for your purpose? Adopting the right antimicrobial hygienic flooring solution is critical to inhibiting the growth of bacteria, mould, fungi and other viruses within your working space. By learning the different types of hygienic flooring available, you can ensure that your solution is working as efficiently as possible to meet your hygienic cladding needs. There are several different types of antimicrobial hygienic flooring, and we’ve compiled a list of the different types and which projects they are best suited to. How do antimicrobial solutions differ from antibacterial solutions? Antimicrobial solutions differ from antibacterial solutions in the sense that they are effective against a broad spectrum of microbes including bacteria, mould, fungi and viruses – whereas antibacterial solutions merely protect against bacteria. Antimicrobial technology works to reduce microbes by 99.9%, reduce cross-contamination, reduce odour, and increase product lifespan. Silver-ion technology works to kill microbes on working surfaces by up to 99.9% in just two hours. The silver-ion antimicrobial agent has high efficacy, and its robust properties mean that it is suitable for deployment in large scale projects. Silver-ion additives are typically diverse and can be used to provide hygienic flooring solutions in a number of sectors including healthcare, leisure, education, pharmaceutical, hospitality, animal care and commercial builds. Here at BioClad, our flooring product BioFloor® utilises silver-ion technology to fight against bacteria including MRSA, E.Coli and Influenza as well as reducing microbes. BioClad’s flooring products are designed to inhibit bacteria and microbes effectively. For more information about our flooring solutions, visit our products page. Zinc pyrithione has antimicrobial properties and is well-known for its use in anti-dandruff shampoo. Zinc technology is most effective in areas that are expected to have a significant exposure to mould and fungi, such as bathroom and kitchen floors. 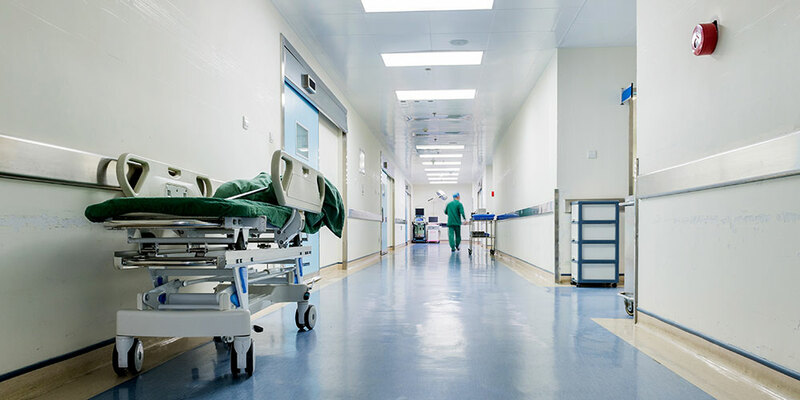 Copper salts are typically used in disinfectant products, meaning that they are a suitable antimicrobial solution for hygienic flooring projects in areas like hospitals and medical facilities. Substrates such as paints, coatings and polymers are most suitable for copper additives. There are a number of organic additives that are effective in providing a hygienic flooring solution including phenolic biocides, quaternary ammonium compounds and fungicides. Each can be used as an additive that provides antimicrobial protection for surfaces vulnerable to discolouration, staining and material damage from mould and fungi. For more information on the benefits of antimicrobial protection, read our ‘Antimicrobial Explained’ guide. By taking the time to research the most suitable hygienic flooring solution to suit your purpose, you will be able to take steps to improve the hygienic qualities of your space. Antimicrobial protection gives you the peace of mind to continue operations, safe in the knowledge that you are working in a secure environment. For more information about the antimicrobial hygienic flooring solutions we provide, contact BioClad today. DON’T RISK IT. BIOCLAD IT.